The Harrison Museum of African-American Culture is an educational and cultural institution committed to promoting, showcasing, and celebrating the art and history of African-Americans in the Roanoke Valley and beyond. Memorabilia, photographs, and objects relating to the African-American experience form an extensive portion of the Harrison Museum’s Permanent Collection, as does an impressive collection of African and contemporary art. In addition, oral stories and recollections of community elders highlight the culture and significance of the Valley’s black communities offering a significant enrichment to the materials found in the Museum’s archives. Just as our other organizations seek to cultivate awareness and appreciation of their form, the Harrison Museum does the same for the significant contributions of people of African descent, and Center in the Square is excited to have the opportunity to help further that mission. Residency in Center in the Square enables the Harrison Museum to foster and educate our children, reach broader audiences, garner greater visibility, and contribute significantly to an inclusive and cohesive image by sharing the collective African-American story – one of great individual accomplishment in the face of adversity and prejudice. The Historical Society of Western Virginia promotes regional history and provides educational services, research, and historic preservation at the History Museum of Western Virginia, the O. Winston Link Museum, Kegley Publications, and the Crystal Spring Pump Station. Housed in Center in the Square, the History Museum of Western Virginia’s purpose is collection and preservation of material pertaining to the history of the area. Facilities include multiple exhibition galleries, a library, archival and collections storage, and an education workshop. The Museum’s collection is now the largest repository (more than 20,000 objects) of material devoted to tracing the human history of Western Virginia, showcased in continuing and changing exhibitions. The Museum’s Clare White Research Library holds volumes of the museum’s books, manuscripts, photographs, papers, and ephemera; welcomes scholars and independent researchers; and is the site for conducted research for the Society’s own books. The Kegley Publication Fund provides steady financial resources for these publications. As part of its 50th anniversary, the HSWV embarked on a major renovation project. Thus far, the Historical Society has completed refurbishment of its administrative offices, research library, and education workshop. The Watts Library is an excellent research facility housing a collection of 1,800 books, 8,000 photographs, 2,000 slides, 150 maps, 800 periodicals, and thousands of documents and manuscripts, including business records and family papers. The Don & Barbara Smith Children’s Museum, Kids Square, is a space in downtown Roanoke located on the third floor inside of the Center in the Square. This fun museum is geared towards children ages 10 and under. The exhibits encourage play, education and gross motor skills that are important for the development of children in this age range. Children over the age of 10, yes that includes adults, will enjoy our interactive exhibit and other areas within the Kids Square as well! THE TOWN: Approximately 4,000 of the 15,000square feet of the museum is a miniature real-life town. Each space is designed as a different miniature version of real businesses. Currently; Hometown Bank, Kroger, COX Communications, Carilion Children’s, Roanoke Catholic School, BlueRidge Dental, Miracle Ear, Cave Spring VeterinaryClinic and Grand Home Furnishings are all located in our little town. THE FOREST: Tree forts, a rock climbing wall, log tunnels and slides, are just a few of the active opportunities children will be able to enjoy. Also included in this area is a camping exhibit complete with a kid sized RV camper along with a tent and a camp fire! Look out for the hobbit house…hidden within the trees! THE THEATER: This space will include a stage with costumes and props, kid controlled stage lighting, a lighted vanity and a puppet theater. The stage will also give our beneficiary organizations an opportunity to do pop-up performances or gather together as a group. SENSORY COVE: This area was designed specifically for children that have sensory challenges, although a child at any age or development level will be able to enjoy this space.Cause and effect lighting, tactile walls, fun mirrors and a fish aquarium will be highlighted in this area. THE DIG PIT: Kids can enjoy pretending to dig in our kid friendly mess-free pit! CLASSROOMS: Programming space for educators to utilize when visiting the museum. Center in the Square is proud to house one of the country’s top professional nonprofit regional theatres. Mill Mountain Theatre (MMT) has served for almost 50 years as a nationally recognized professional, regional performing arts theatre committed to producing the highest quality theatre in Southwest Virginia, actively promoting and developing new theatre works, strengthening the artistic influence in the community through education and outreach, seeking and developing new audiences, and providing a diverse population access to both alternative and traditional theatre. Mill Mountain Theatre Conservatory (MMTC) is the educational wing of Mill Mountain Theatre offering several scholarships to low-income individuals on as-needed basis. MMT works together and collaborates with other theatres and professional arts organizations across the region to provide excellent programming for the citizens of Southwest Virginia. The O. Winston Museum is dedicated to preserving, collecting and interpreting the photographic, audio and video works of photographer Winston Link and his project to document the last days of steam along the Norfolk and Western Railway. With over 300 black and white and color images on exhibit, the Museum welcomes all to explore this vibrant but gone part of our history. The Museum also exhibits work by other photographers on a temporary and regular basis as part of the goal to create a photography cultural center. The Collection of the O. Winston Link Museum is certainly focused on the Norfolk and Western project. Link captured the last days of steam operation on the N&W Railway in the late 1950s, but within the walls of these Galleries, our visitors experience much more than just photographs. This collection is more than trains and rail operations. The images created by Link are vignettes into history and sociology. They are art; they are a part of the history of photography and they are a tool to share an era with every person. Southwest Virginia’s only professional opera company, Opera Roanoke presents fully-staged productions and a variety of smaller-scale presentations each year. Scott Williamson is the General and Artistic Director of Opera Roanoke, where he was an Associate Conductor, Chorus Master, and artist beginning in 1998. Steven White, Principal Guest Conductor & Artistic Advisor, is one of North America’s premiere conductors of both operatic and symphonic repertoire. Opera Roanoke has moved its offices into the Center in the Square facility in order to enhance its budgetary position, take advantage of in-house benefits, and to support a strategic cost-savings move by Center in the Square. Guest artists of national and international distinction perform on the Opera Roanoke stage. Southwest Virginia’s pool of talent is an integral part of the Opera Roanoke experience. The Roanoke Symphony is the official orchestra of Opera Roanoke. The Roanoke College Children’s Choir, Roanoke Ballet Theater, and the Blacksburg Master Chorale are just some of the outstanding local organizations that frequently add luster to Opera Roanoke productions. Educational and outreach programs and activities of Opera Roanoke allow persons of all ages and socio-economic levels to enhance their knowledge and enjoyment of opera. Teacher Resources offer information relative to performances with cross-curricular ideas for lessons that meet the Virginia Standards of Learning. Opera Roanoke also introduces local students to production cast members through in-school performances. These free programs offer opportunities for students to interact with singers while learning more about opera and its career opportunities. Most significantly, Opera Roanoke is proud to offer the Sempre Libera Program – Free Admission for Students! This initiative encourages students of all ages to attend any performances entirely free of charge. Italian for “always free,” Sempre Libera allows students the opportunity to experience an art form that encompasses everything young people love: high drama, thrilling music, sly humor and extravagant costumes regardless of ability to pay. Roanoke Ballet Theatre, Inc. (RBT) is one of Virginia’s preeminent dance companies, and is known nationwide for its innovative and exciting ballet and cutting-edge modern performances and is Roanoke’s only non-profit school of dance, providing excellent instruction in ballet, pointe, modern, tap, jazz, and specialty classes for all ages and skill levels. Dedicated to the heritage, development and promotion of dance, RBT is committed to offering excellent dance instruction in a diverse range of styles and levels; creating and sustaining a challenging artistic environment; providing a variety of performing opportunities for dancers; and offering our community a variety of opportunities to experience dance. RBT maintains a Company of professional and student artists that offers performances and tours throughout the year. RBT’s teaching philosophy embraces a holistic approach, wherein each student is regarded as a “whole” being, and not just as a dancer needing technical training. Positive attitudes, good nutrition, teamwork, creativity, and personal commitment are all important components of instruction. Past projects which have received international recognition for innovation include Bluegrass Ballet with the Del McCoury Band, Aerial Ballet, and NASCAR Ballet. RBT has presented and/or performed in concert with North Carolina Dance Theatre, Alvin Ailey Repertory Ensemble, Moscow State Ballet, Guangdong, Richmond Ballet, Doug Varone and Dancers; and individual artists from Dance Theatre of Harlem, National Dance Institute, School of American Ballet, Bill T. Jones/Arnie Zane Company, Charleston Ballet, National Ballet of Ecuador, Mongolian National Ballet, Merce Cunningham Company, Shen Wei Dance Arts, Urban Bush Women, Pilobolous, Moving Poets, and others. The Roanoke Pinball Museum is one of the newest additions to the Center in the Square family. The Roanoke Pinball Museum is an interactive museum dedicated to the science & history of pinball. Our mission is to cultivate curiosity in science, art and history through pinball while preserving & honoring its role in American culture. The Roanoke Pinball Museum opened its doors in the summer of 2015, with over 50 machines with production dates ranging from 1932 to 2016. Admission to the Roanoke Pinball Museum allows patrons to play at their leisure, but also to learn. Pinball players, young and old, will be introduced to the history of pinball, the science behind the game, and have an opportunity to appreciate the color, composition and overall design of the backglasses and playfields. SOL-compliant curriculum and educational resources are available to students and teachers to reinforce their visit to the museum. We have the opportunity to playfully educate and introduce a new generation to a game that has consistently reflected the sign of the times in American pop culture. The greater picture is just as promising. Due to a prime location and Center in the Square’s consistent record of successful economic impact, it is safe to say that the Roanoke Pinball Museum will greatly contribute to our region’s attractiveness. The Roanoke Symphony Orchestra, founded in 1953, is the largest professional orchestra in Virginia west of Richmond. In 1986 the Roanoke Symphony hired its first full-time, resident music director, Victoria Bond; established its professional status; and made a public commitment to artistic excellence and meaningful educational programs. Since that time, the orchestra has been recognized nationally for its artistic achievements, its innovative education programs and its unique outreach to diverse audiences. David Stewart Wiley serves concurrently as Music Director and Conductor of both New York’s Long Island Philharmonic and Virginia’s Roanoke Symphony Orchestra. Wiley’s tenure with the Roanoke Symphony Orchestra continues to be a remarkable success story, and the RSO is rapidly becoming an example for a successful new artistic business model for a vital and stable regional orchestra. Under his artistic leadership, the RSO balanced budget has almost tripled, with dramatically increased artistic quality, community excitement, endowment growth, and increased ticket sales. Wiley partners with schools and numerous arts organizations throughout the region, and innovative events like “RSO Rocks” have broadened what a symphony event can be for new audiences. The administrative offices for RSO are located on the second level of the historic Shenandoah Hotel building at 128 East Campbell Avenue in downtown Roanoke with studio space for David Stewart Wiley, Music Director and Conductor of the RSO, occupying the north-east corner of the building on the ground level. Picture windows open up the space and invite observers to enjoy a glimpse into the excitement of the Symphony and engage the public in downtown Roanoke. “The Green Room” is the heart of the Roanoke Symphony Orchestra’s new location just steps away from Roanoke’s downtown City Market. Wiley, together with RSO musicians, are able to advance opportunities for participation in the arts and strengthen the RSO’s integration into the cultural and educational mainstream of our community. Visit The Green Room for music, learning, and fun in the rhythm of Roanoke’s downtown city center. Programs are given by RSO musicians, music director David Stewart Wiley, plus guest speakers and performers. The Science Museum of Western Virginia continues to reinvent not only the exhibit galleries, but also the entire museum and its connecting spaces, classrooms, and programs in order to transform the way visitors engage in learning science. The museum currently features the Healthy Bodies Gallery, Healthy Earth Gallery, an expanded How it Works Gallery, Living River & Touch Tank, Maker Lab, and The Bubble for preschoolers. The Butterfly Garden at the museum has transitioned from an exotic butterfly habitat to a native pollinator garden. The new Hidden Garden reflects the growing awareness of the importance of supporting pollinators in all stages of their life cycle. Visitors will be able to search for eggs, caterpillars, chrysalises, and adult butterflies within the garden. The museum also offers your event one of the most unique settings in the Roanoke Valley, whether you’re planning a wedding, birthday, or company party. As one of the oldest science museums in Virginia and one of the most visited attractions in the region, the museum has served millions of K-12 school children and thousands more through college and community outreach programs and public events. Each and every week, hundreds of children come from more than 40 school districts in Virginia. Even after 35 years in our community, Roanoke’s iconic Center in the Square continues to grow their mission to enhance education, economic development and quality of life. 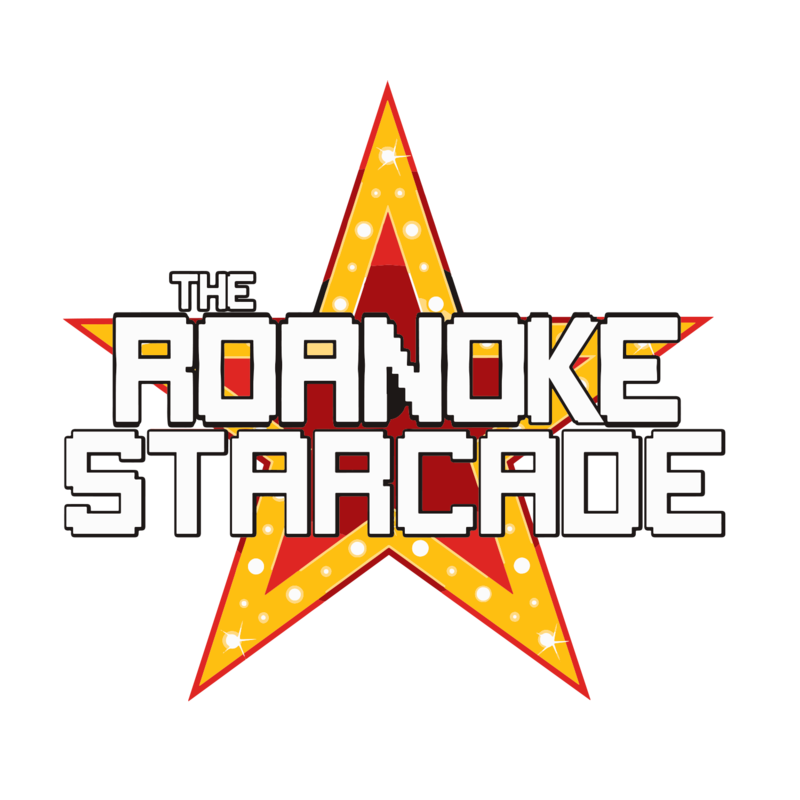 Following the massive success of Kid Square Children’s Museum and the truly eclectic Roanoke Pinball Museum; Center in the Square’s home at One Market Square now presents: Roanoke STARCADE. With a name honoring another iconic Roanoke structure, The Roanoke STARCADE is a new, 3,000 square foot facility just a quick walk from the Roanoke Pinball Museum on the 2nd floor of Center in the Square featuring classic and new arcade systems and activities for gaming, competition, private engagements and of course, great fun. The experience at Roanoke STARCADE will be similar to Roanoke Pinball Museum in that patrons can pay one low entry fee for endless gaming during their regular business hours. A grand opening will feature live music and refreshments on Thursday, January 31st beginning at 5pm. Stay tuned as they announce special events, new games, features and much more.